The Kimyal tribe reside in West Papua, Indonesia. They have had a part of the New Testament translated but have longed for a full translation to help them understand the Word better in their own language. The community waited 47 years for this. 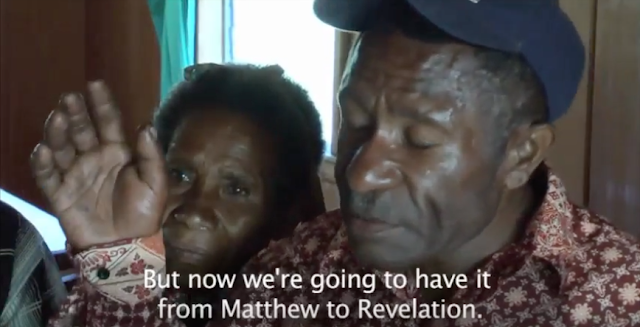 You can see the joy and happiness on their faces as they receive the New Testament. One of the many critiques of the Bible is that it has been translated too much. People often fail to realise that people understand better in their own native tongue languages. As long as the translation says what the original texts says and conveys the same message I see no issue. When the Holy Spirit descended on the Disciples they spoke in tongues and those tongues were languages that the bystanders spoke natively and they understood what was being said.